It is not for me to judge another man’s life. 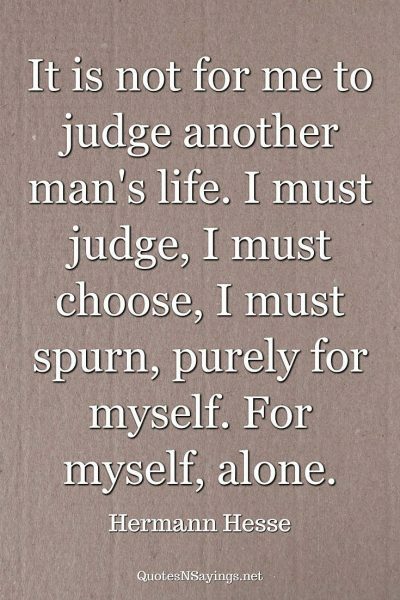 I must judge, I must choose, I must spurn, purely for myself. For myself, alone.